To work savin' blackflies in the woods of Jonesboro. But the blackfly population was dangerously low. Always the blackfly, that's got to be the way. We counted all the blackflies and we found reams. But there's yet to be our 2 billion acre dream. And we kept them safe from bug swatters and DEET. Then we let them breed in the town of Jonesboro. They re aren't many bite-scabs on the people I meet. But they don't seem to care, not one iota. So flies will be around for our children some day. 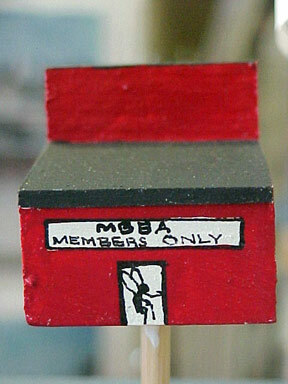 "I'm enjoying this thanks to the MBBA." 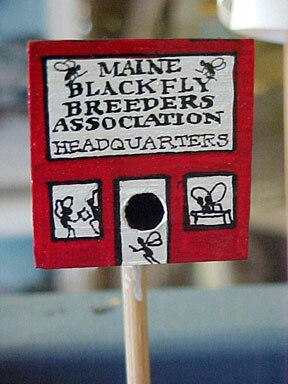 Created by Ginny Brown 2008 Designed by Alana Brown 2008 maineblackfly.com.